A memory a day - 8 - Meeting Mr Banana! 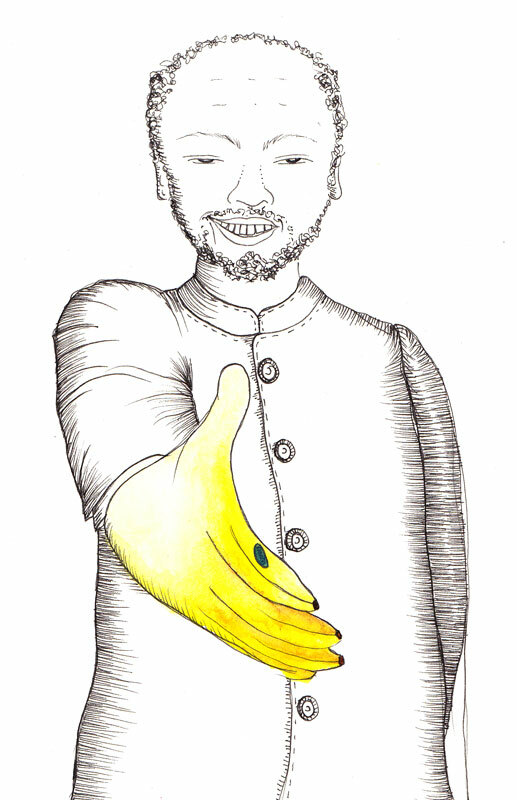 I have no idea at what event this was, but about 8 years old still living in Zimbabwe, meeting and having ones hand shook by a grinning President Banana. Obviously I was just most in awe of the fact he was called Mr Banana and not that he was the President of Zimbabwe. Apparently a law had been passed saying anyone laughing at his name would be imprisoned, he's not with us anymore so I don't suppose the law still is enforced but if it is let's hope no one see this!